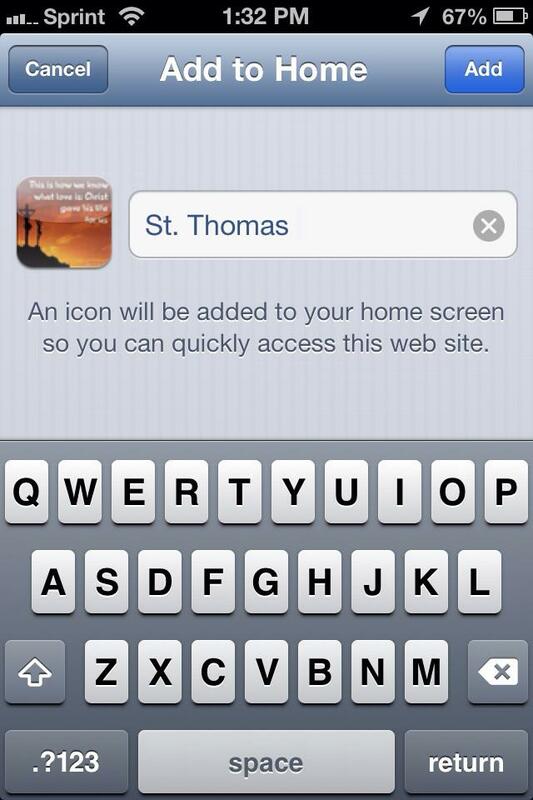 Get the St. Thomas mobile APP! (If you want to type this web address into your browser start with Tutorial #1. Otherwise click on the link and proceed to Tutorial #3 below). #1. You will start by going to your mobile device web browser. On Apple devices (like the one shown) it is called Safari. NOTE: The images are based on the iPhone. If you have an Android or Windows phone, functionality may be similar or it may be different. 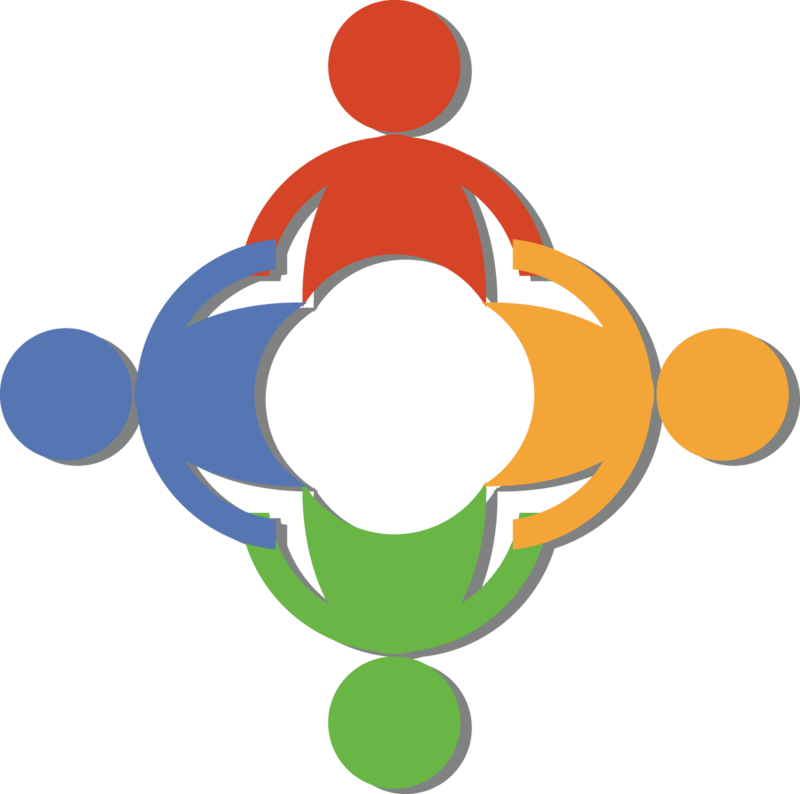 If you desire help setting up the mobile app on your device please contact us by clicking HERE. #2. Type the address (you can find it above this tutorial on this page) into your browser’s URL location. NOTE: The address in the image is NOT the address you use! #3. 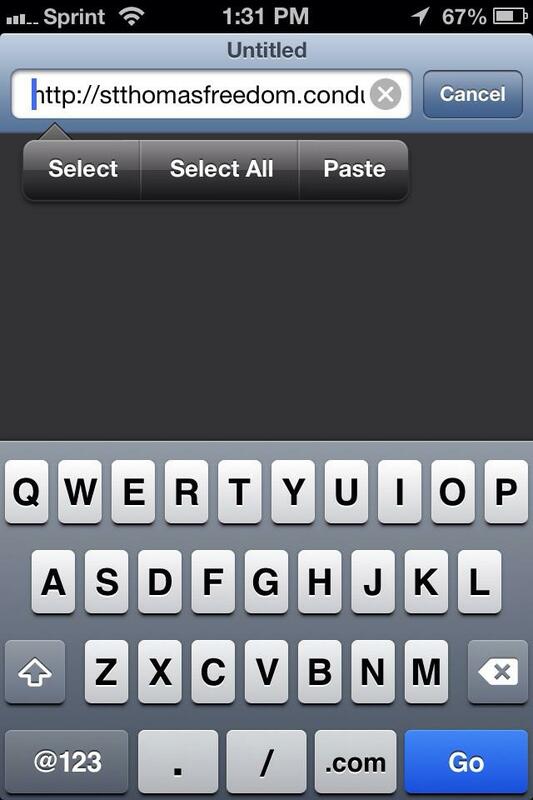 When you navigate to the address, the app will load and it will look something like this. 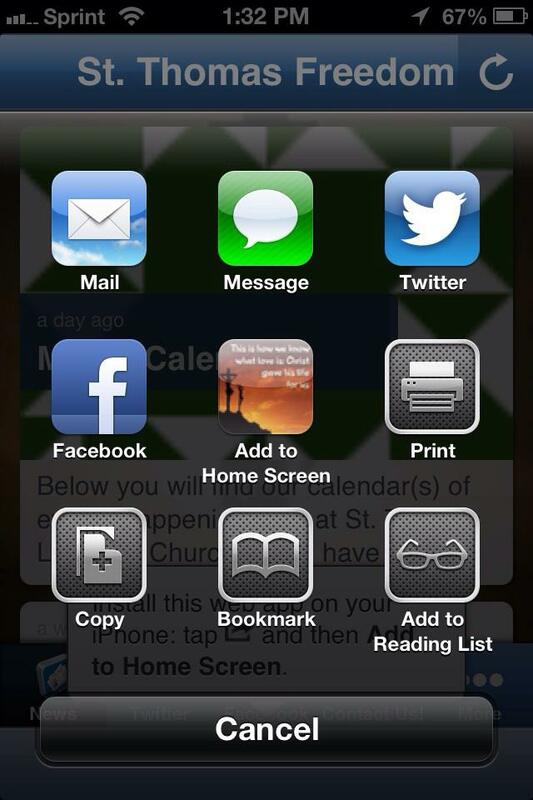 You will most likely be prompted to add the app to the home screen (the little grey box in the image to the left). Go ahead and click on the icon indicated! #4. 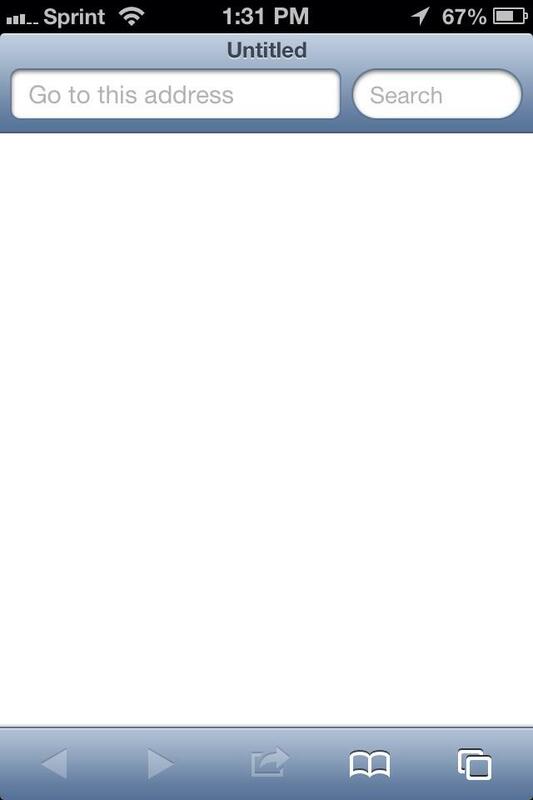 Once you click on the icon in #3, you will get a screen that looks like this. 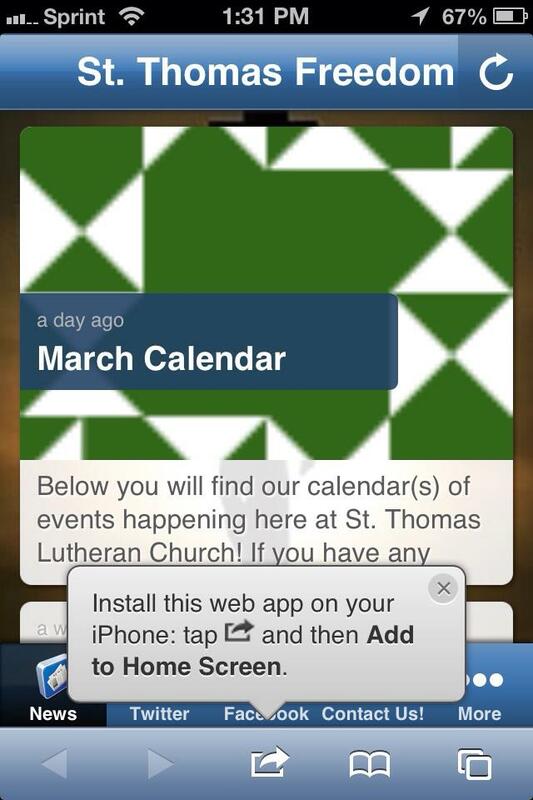 To add St. Thomas’s Mobile App to your phone, just select the “Add to Home Screen” option. #5. It will ask you to name your web-clip (App). You can name the app whatever you wish. #6. 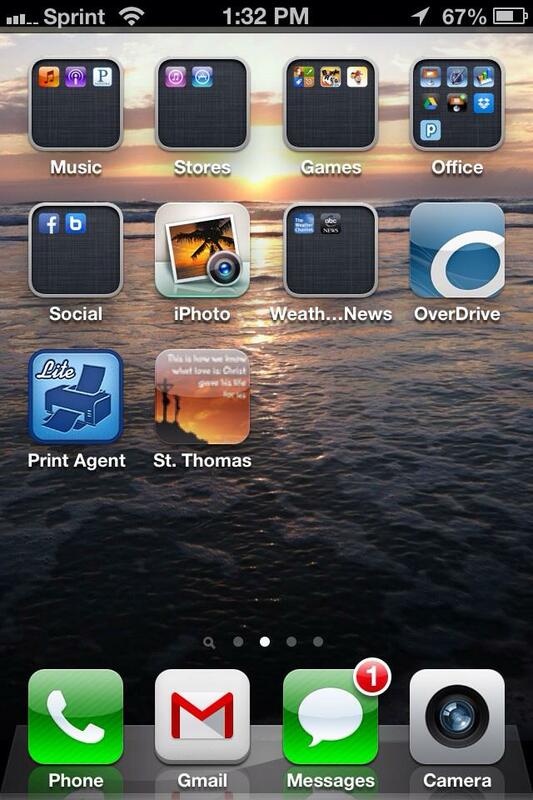 Once you select “Add” the app will appear on your home screen. The image of the app may not be exactly the same. If you ever have an issue with the app, you can delete the app and repeat the process.